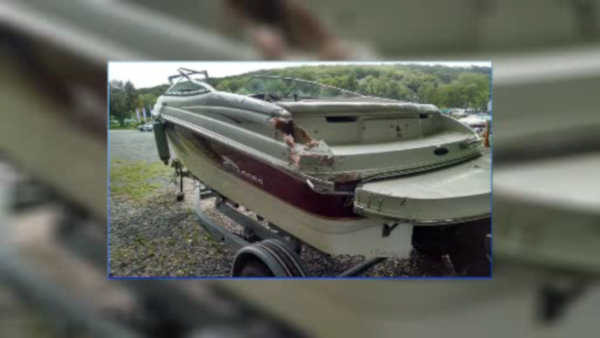 LAKE HOPATCONG (WABC) -- New Jersey State Police need help finding a hit and run boater. A boat was hit on Saturday on Lake Hopatcong at Woodport Cove. Two people were hurt, and the boat was damaged extensively. The boat that hit them may have a white cabin and an aluminum propeller.